Just back from a pheasant hunting trip in South Dakota, Brett Anderson of BBlades Professional Propellers in Princeton, Wis., is running flat-out to get things done before the holidays. Anderson and his team are hard at work repairing propellers from this year’s go-fast boating season. They need to get as much of that work completed before their January-February “Winter Special” floods them with substantially discounted propeller-tuning work. Working long hours leading up to Christmas doesn’t bother Anderson—in fact, he’s fond of it. What’s more, he grateful for the work as this is the busiest November-December that BBlades has seen in the past three years. What do you see happening in the high-performance propeller market next year? “We now have outboard engines from 350 to 560 hp, so making propellers for that market has become a focus for us. Everybody is building center consoles, so we are seeing growth in our custom outboard propeller business. 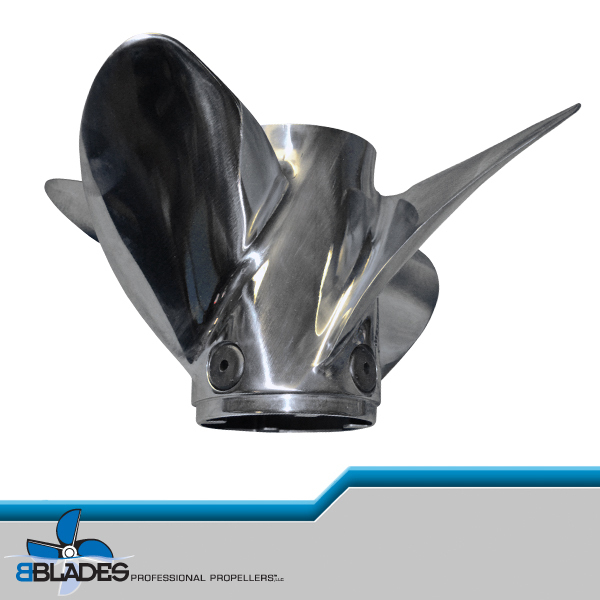 We are taking stern drive propellers with their bigger diameters and blade surfaces and making them into outboard propellers. Actually, we’ve been doing this for more than a decade but with the larger outboards being more prevalent on the market it’s becoming a lot more popular. Before, we used to do it for a guy with a 250-hp outboard on an 18-foot bass boat, take an existing Bravo propeller and turn it into an outboard propeller. Not knowing what new outboard propellers will come out in 2015, I think you’re going to see a lot more stern drive props used in outboard applications. “Given the horsepower side of the market, we are sort of running out of pitch with existing propellers. So I think we might see more gear ratios offered than those we have now. If you create a casting for it there’s nothing stopping anyone from creating, let’s say, a 44-inch pitch propeller, but with there comes a point with pitch where you start to see a lack of efficiency and other issues. You can have a ‘paddle wheel effect’ where you get too much stern lift. 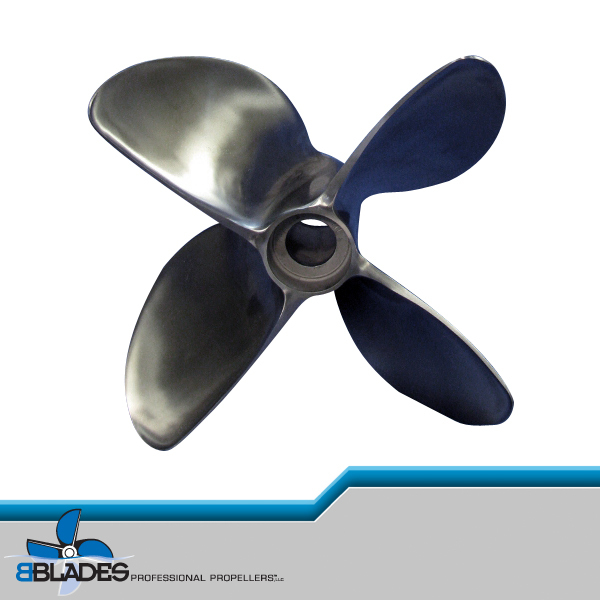 The propeller seeks the surface of the water and the back of the boat becomes loose. There’s a loss of efficiency level in props with more than 40-inch pitch. If we can stay under that pitch and look at different gear ratios, that could be a solution.